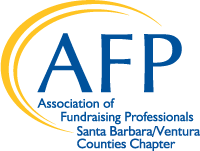 To qualify for the AFPSBV member discount, at least one individual from your organization must have a current chapter membership. Membership is verified by AFPSBV. Please email your job posting information in a Word or PDF document to Carmela Carreño, Chapter Administrator, at afpsbvreg@gmail.com. Job postings are updated once a week, and all position announcements are posted on the AFPSBV Job Board for 90 days. Position announcements are also included in AFPSBV's enewsletter that is sent twice a month to over 1,000 members and non-members who have opted to receive these notifications. For questions or more information about job postings, contact Carmela Carreño at afpsbvreg@gmail.com or call (805) 500-6610 x108.